Aside from the violin itself, a violin bow is one of the essential pieces of equipment that any violinist needs. Since the bow is what creates the sound of the violin when drawn across the strings, choosing the right violin bow is imperative. 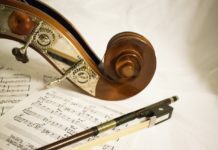 While there are several materials used to make violin bows, carbon fiber has become increasingly popular among players due to their durabilty and sound quality. Parents often buy carbon fiber bows for their children so that they can be assured that the bow won’t easily break if dropped or swung. In this article, we have reviewed ten of the best carbon fiber violin bows which can be bought. Additionally, we have listed down some of the essential characteristics that a carbon fiber violin bow should possess to guide you in narrowing down your choices. This handcrafted CodaBow is not only beautiful but produces a sound that’s very similar to traditional Pernambuco bows. 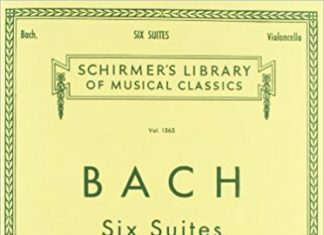 Great for any intermediate or advanced student. Fiddlerman makes great generic versions of most violin accessories and their carbon fiber violin bow is no exception. One of the first things you have to do before ever deciding to purchase the carbon fiber violin bows is to identify the necessary features which these tools have. 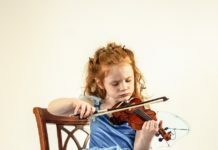 By doing so, you do not only pick the most appropriate violin bow for you, but you also ensure yourself that you have chosen the quality gear that would make your performance better. Since each of the carbon fiber violin bows provides distinct designs and characteristics, considering the features of each of the violin bows is the most appropriate thing to do. Here are some of the features that you have to consider when picking the best carbon fiber violin bows. There are four materials which are utilized in making a violin bow: Brazilwood, Carbon fiber, Pernambuco, and synthetic materials. Compared to the other three, carbon fiber makes violin bows more robust. On the other hand, Pernambuco and Brazilwood are typically lightweight. Synthetic materials are usually composed of composites and fiberglass. The second thing that you have to consider before purchasing a carbon fiber violin bow is its weight. A lighter violin bow allows violinists to try different strokes without exerting much effort. However, such bow might lack the power and weight to enable violin players to perform efficiently. A more cumbersome bow, on the other hand, produces a more significant sound. However, using the heavier bow could be tiring especially when it is used on a constant basis. The shape of the carbon fiber violin bow is also worth noting. 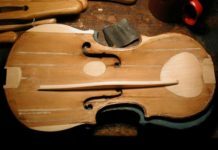 Usually, violin bows have two configurations, namely: a round bow and an octagonal bow. While the former is less rigid, the latter are stiffer. The features which are mentioned above are just some of the key elements that you should consider before purchasing a carbon fiber violin bow. 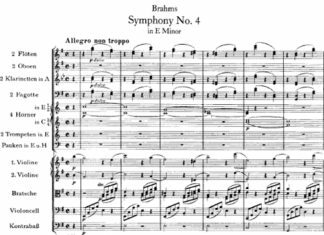 By scrutinizing different violin bows using the aforementioned features, you could narrow your selection down to the one that suits your preference the most. The CodaBow Diamond NX Carbon Fiber 4/4 Violin Bow has a brown tint and a stunning graphite diamond weave finish. It consists of a traditional frog which is made from ebony. It also consists of a white mother of pearl slide, a nickel silver inlay, and a sterling silver winding. The violin bow also consists of nickel and silver fittings, Moroccan leather grips, and a simulated ivory tip plate. It is equipped with an authentic horsehair and traditional handcrafted wood wedges and plugs. The Fiddlerman Violin Bow is an optimized bow made of carbon fiber and quality Mongolian horsehair to ensure efficiency when used. It is further equipped with a well-designed copper mounted ebony frog. The violin bow is designed with great balance and weight distribution. It is also arched well, delivering a good bounce and action. 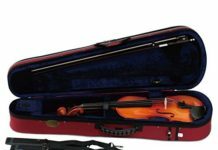 It comes in four different sizes to suit the compatibility of such bow with the instrument and the player. The Crescent Well Balanced Violin Bow is a full-size violin bow which is made up of a carbon fiber material for durability. It comes with an ebony frog with a synthetic grip and faux pearl eyes. It is also equipped with a natural Mongolian horsehair and abalone shell inlay frog slide. Users of the violin bow are ensured of a perfectly balanced and smooth performance when used with the instrument. The Top Braided Violin Bow is a violin bow which is made up of braided carbon fiber. It consists of a Fleur de lis inlay frog, a silver thread winding, and a nickel or silver mount. For a professional performance, the violin bow is equipped with a genuine Mongolian horsehair. A round stick, this violin bow is engineered to be well-balanced when used. The Giuliani Carbon Fiber Bow is a handcrafted violin bow that is built with a solid carbon fiber with high strength-to-weight ratio. It further consists of authentic Mongolian horsehair, a genuine ebony frog, a black leather grip, and attractive abalone accents. The bow is pre-rosined, allowing it to be played readily the moment it is received. It could come in 3/4 size or 4/4 size, giving users the opportunity to choose the size based on their personal preference. The VingoBow Carbon Fiber Violin Bow is a braided grid round bow which is made up of a carbon fiber. 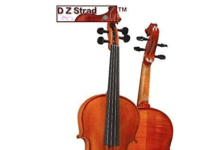 It is handcrafted with a great curve, producing a deep yet warm tone when used with the violin. It is further equipped with an authentic horsehair and an ebony frog with Parisian eyes and a mother-of-pearl slide. Moreover, the violin bow is designed with strength, balance, and flexibility. 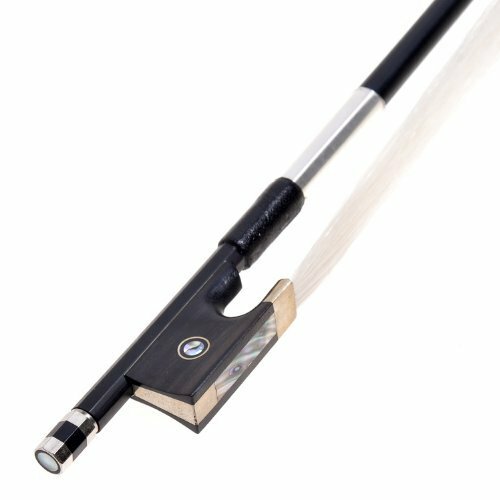 The Glasser X-Series Carbon Fiber X-Bow is a 4/4 violin bow that is made using a carbon graphite molding technology to ensure users of a durable and resilient equipment that would go well with their instrument. It is a round stick, making it less rigid than other kinds of bow. Moreover, the violin bow is equipped with a genuine horsehair and an ebony frog with faux pearl eyes and slides, delivering efficiency when used. The Ace Music Carbon Fiber Violin Bow has a lightweight design with a carbon fiber finish. It is equipped with an authentic Mongolian horsehair which produces rich and vibrant tones. The violin bow also has a perfect balance point. It comes with a free long-lasting rosin that would help violinists produce clear and rich notes using such violin bow. The Vio Music Violin bow is a purple violin bow that is made up of carbon fiber. It also comes with an ebony frog and a nickel or silver mount. Due to its resilience and the quality of sound it is able to produce, this violin bow could be a vital addition to violinists with varying degrees of expertise. The CodaBow Prodigy Carbon Fiber Violin Bow has a graphite diamond weave finish with a blended acoustic core. It further consists of a traditional frog which is made from ebony. Moreover, the violin bow consists of a sterling silver winding, a white mother-of-pearl slide, a set of nickel and silver fittings, a Moroccan leather grip, and a metal alloy tip plate. It is equipped with an authentic horsehair and traditional handcrafted wood wedges and plugs. As a violin player, you should have the knowledge to scrutinize through a list of carbon fiber violin bows by basing on the essential features that should be present in such devices. Since each of these violin bows has different benefits and drawbacks, the final decision on which from the best carbon fiber violin bows will depend on your preference. 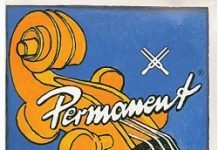 Ultimately, the violin bow that you choose will affect the delivery of your performance. So it is necessary to select well.